6.8'H x 6.25'W x 1.25'D, approx. 31 lbs. 126 C7 LED bulbs. Fine cut garland for great daytime views. Cool White LED lights on front and back. One of our most popular decorations for homes, businesses, and municipalities. 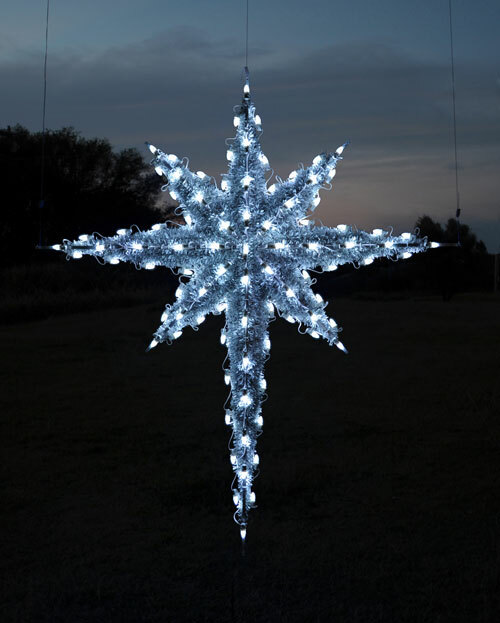 This 6.8 foot hanging Moravian star is lit with commercial grade LED lights.